The RAQ proudly recognise the significant contributions our members play in the success of our Association through their Long and/or Outstanding Service to the RAQ. Each award recipient is proudly displayed below. Any member can nominate any member you feel is a worthy recipient of an RAQ Award. If you would like to nominate a member, please email the Chairman and provide a summary of why you believe this member should be considered for. No. Name Year Mem No. A Member of the Executive of the RAQ may propose that any Financial Member of the Association, who has given Long and Outstanding Service to the RAQ be appointed to the Level of Honorary Life Member. A member whose appointment is confirmed by the Executive to Honorary Life Member shall be presented to the RAQ membership and formally acknowledged for their achievement. A Member of the Executive of the RAQ may propose that any Financial Member of the Association, who has given outstanding Service to the RAQ be awarded the Chairperson's Award. 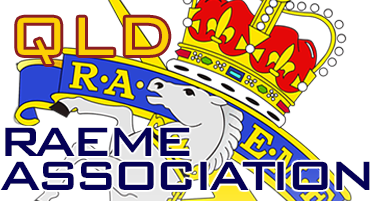 A member who is confirmed by the Executive Committee as a recipient of the award shall be presented with a Chairman’s Award Lapel Badge to identify the member as a recipient.